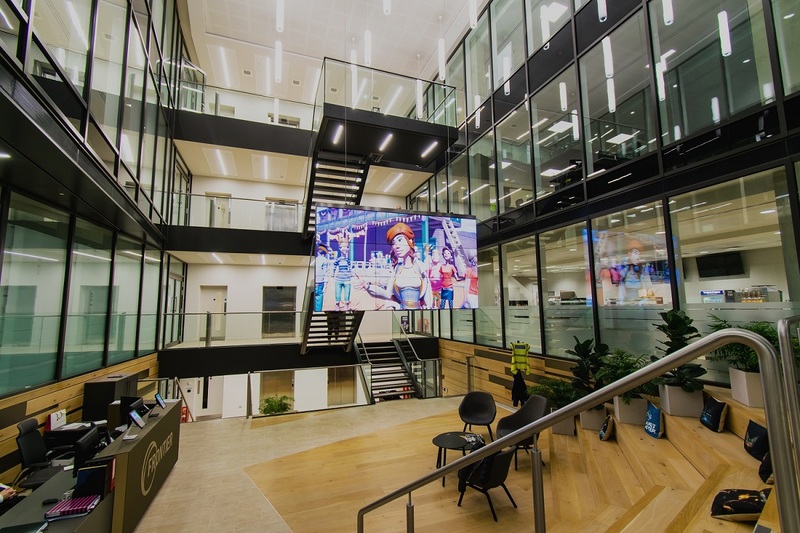 How can AV infrastructure support one of the fastest growing gaming companies at their brand new HQ – office workspaces, game development and design studios? 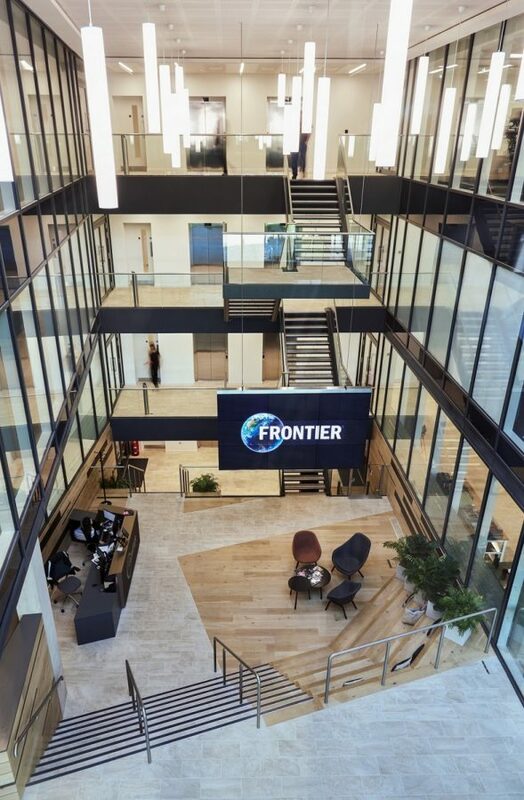 With headcount over 400 and ambitious recruitment plans continuing, Frontier needed workspaces geared to support the creativity and collaboration of its amazing staff, who will delivery on Frontier’s ambition to become a global leader in entertainment. 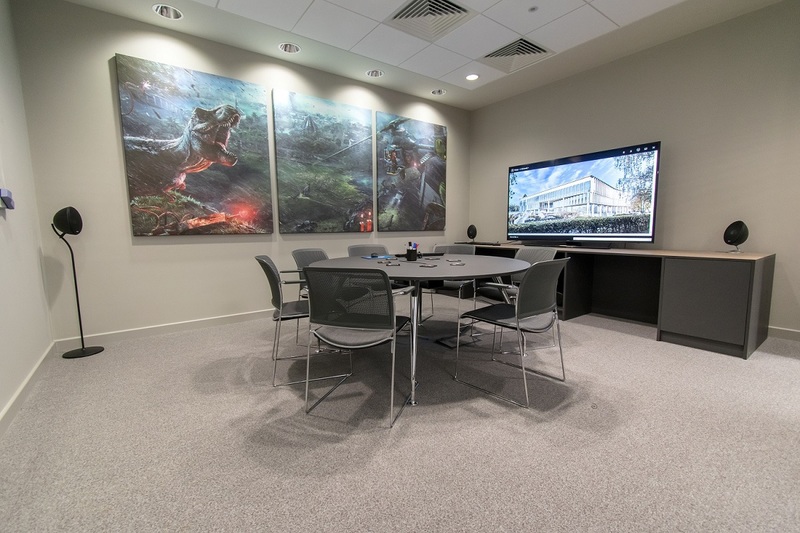 Founded in 1994, Frontier achieved 20 years of success as an independent game developer before undertaking a major business model transition over the last 5 years to become a world leading developer and self-publisher of high quality, enduring game franchises. Narrowest bezel in the market (0.9 mm) at the time of sale. Nine LG 55” Full HD displays. Mount– custom designed and built to Snelling specifications by Adaptive Technologies in California . In-house engineering – custom cladding of rear, top, bottom and sides in brushed stainless-steel encasement, including custom 19” rack frame and loudspeaker cutouts. 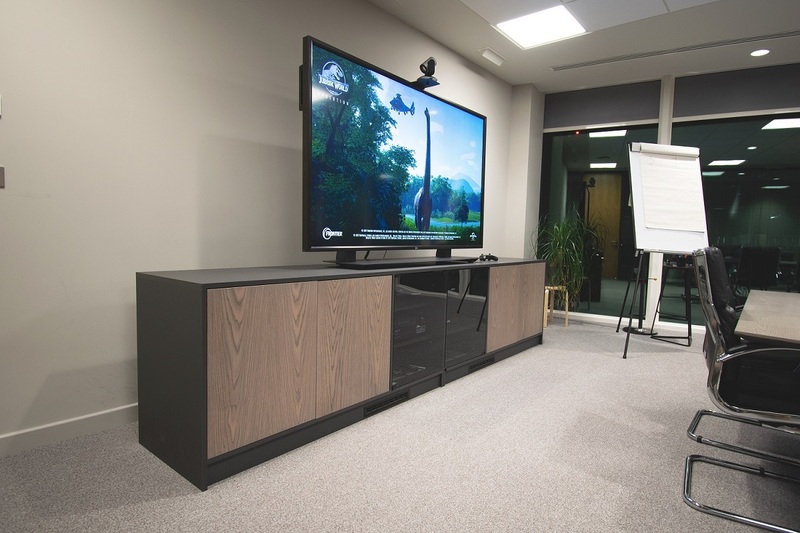 Specified for use by developers who test prototypes and develop the gameplay in these rooms. Display: LG FHD displays ranging from 49” to 75” displays with 4K HDR. AMX Sereno Video Conferencing Camera with integrated microphone. Game developers and testers collaborate to test the gameplay. Display: LG FHD displays ranging from 49” to 65” LG displays with 4K HDR. Denon Full 4K Ultra HD Network AV Receiver & KEF Surround Sound System. Display: LG 55’ Full HD displays in each room. 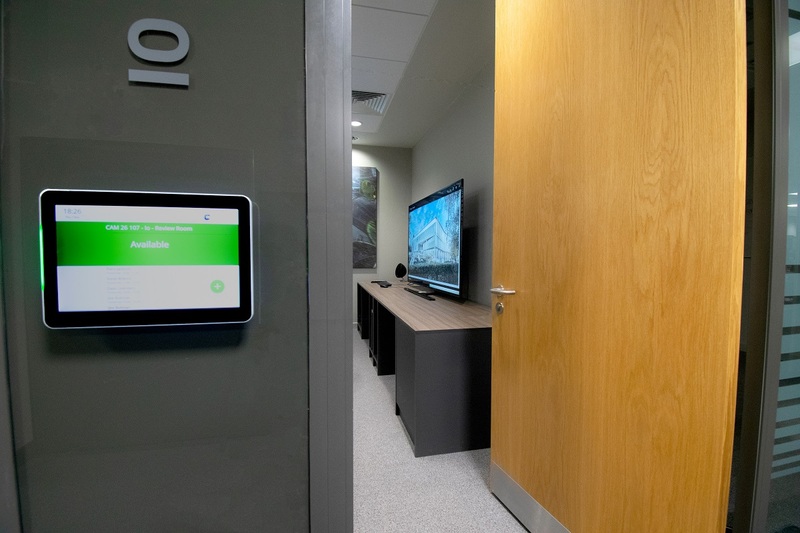 Room Automation (AV, lighting, motorised speakers and blinds) – Crestron Controller and Crestron 10” touch surface. Onelan Digital Signage on Reserva Room Booking Screens. 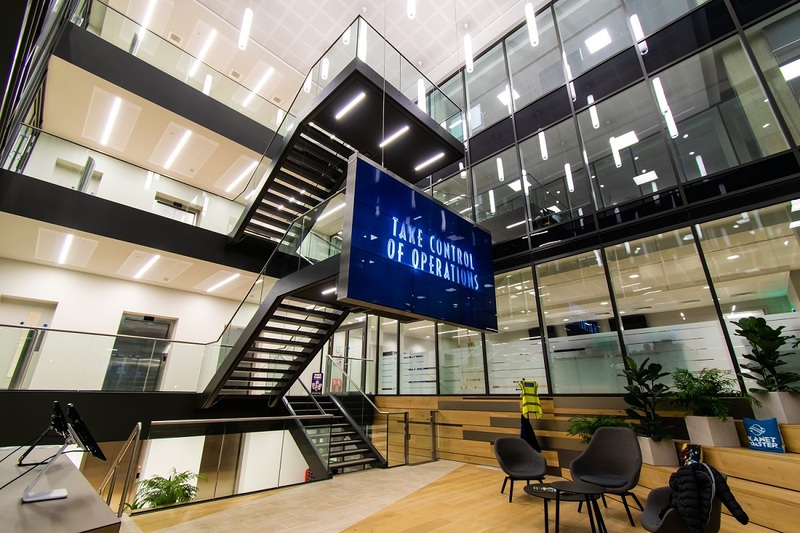 Managed support services with reactive emergency support and preventative maintenance built into a customised contract. 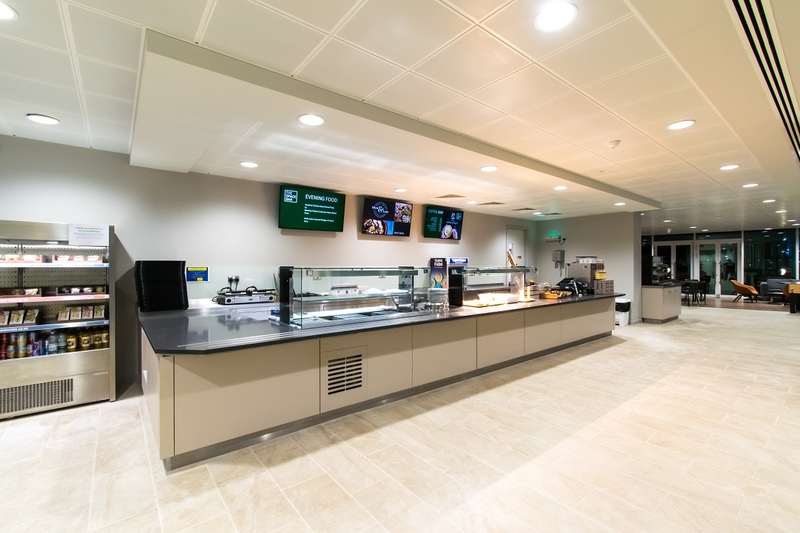 “I cannot stress the strategic importance of this new build project to our business plans. 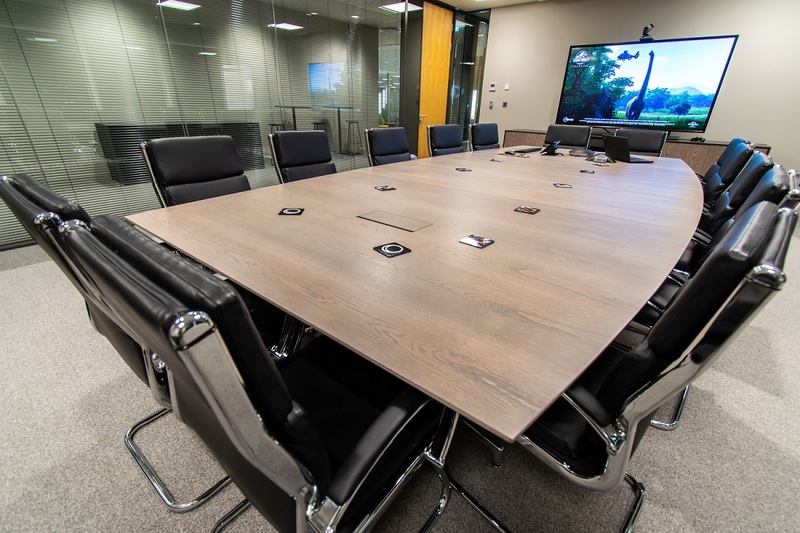 An assessment of the level of service and possible working relationship was an essential part of our selection criteria for the AV supplier. Without hesitation I can say working with Snelling Business Systems was the best decision we have taken. The video wall installation looks absolutely stunning and we’ve received the most fantastic feedback from staff, media, suppliers, customers – quite the attraction now at the Cambridge Park! 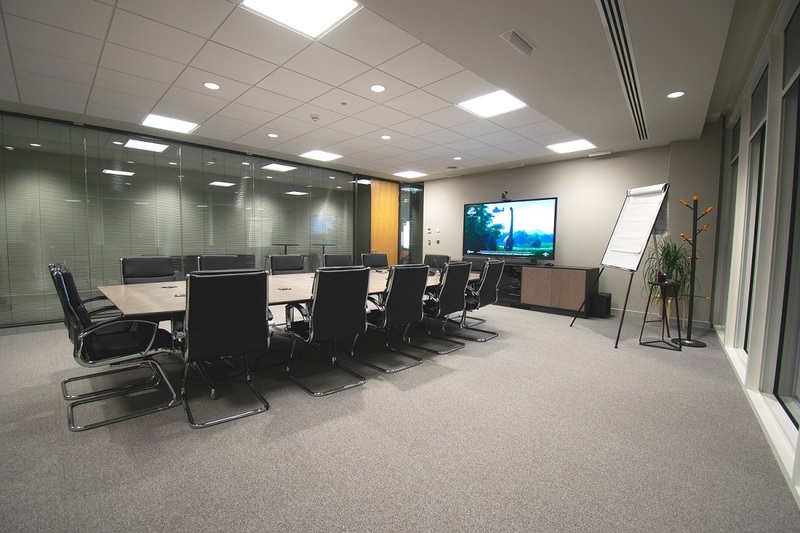 Throughout the whole process, Snelling Business Systems have made it exceptionally easy for both technical and non-technical people… no one felt overwhelmed, and everything was explained very clearly. One area they really excel is their project management skills. We couldn’t have done it without them and can’t fault the service at all. I can confidently recommend them”. Read the ‘FULL SPECS’ of the project. 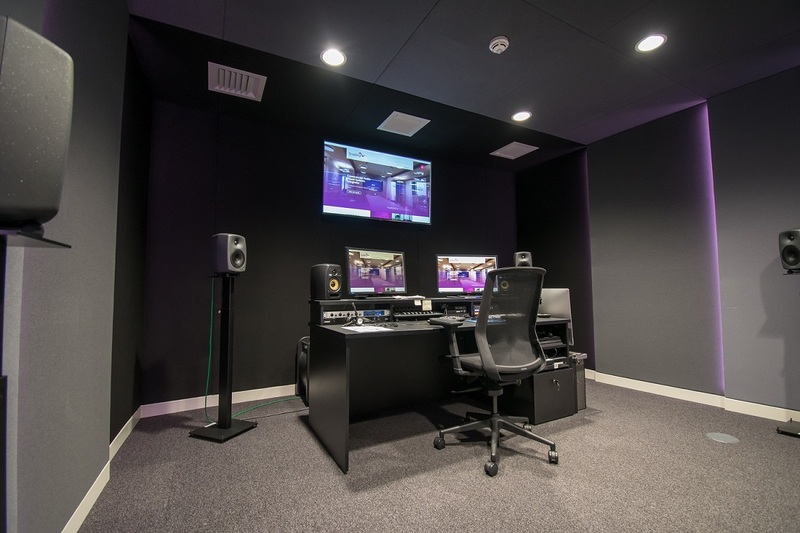 How can Audio Visual infrastructure enable employees of a global consultancy connect and collaborate with colleagues/clients, in brand new workspaces, outside mainland UK? How can AV infrastructure support the Raspberry Pi Foundation’s mission to help people everywhere access computing and digital making?